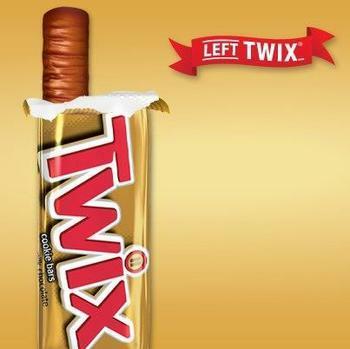 Left Twix is for Communists. I've been staring at this for months now on the index and I still don't understand. You probably don't watch like any TV then. Which I don't either; only saw this commercial because I'm in the Poker Club and we were playing while the football game was on. The real reason though is because I didn't want the picture of the naked woman up there anymore.